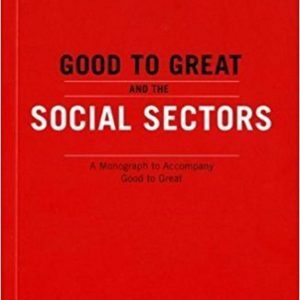 In his monograph, Collins explains the subtle (but seismic) concepts of good to great for the social sector. 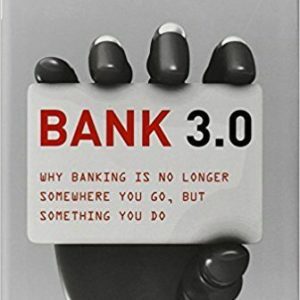 He contributes clear thinking on numerous issues that will be very familiar to social sector leaders, including how to measure success in non-dollar metrics, how to recruit and motivate a passionate (and poorly-paid or unpaid) staff, how to think differently about “restricted funds” and how to transcend systemic/external problems. Collins predicts a dramatic reversal – that one day non-profit leaders, who have mastered legislative leadership, will be wooed away to lead for-profit businesses. Also, he says that the true difference is not between for-profit vs. nonprofit, but good vs. great – regardless of organization type. 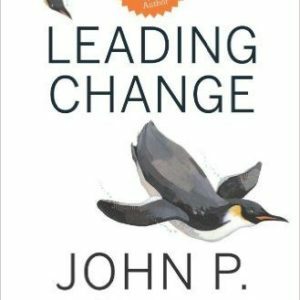 From the most trusted voice on transition, this is a thoroughly updated and expanded edition of the classic guide to dealing with the human side of organizational change. 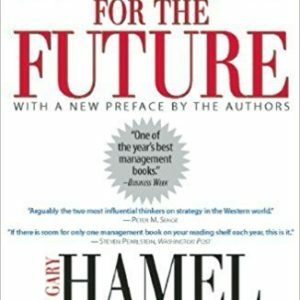 Directed at managers and employees alike in today’s business world where constant change is the norm and mergers, redundancy, bankruptcy and restructuring have become common phenomena, this work addresses the fact that it is people that have to embrace a new situation and carry out the corresponding changes. This is an expanded and revised third edition with new introduction and afterword. 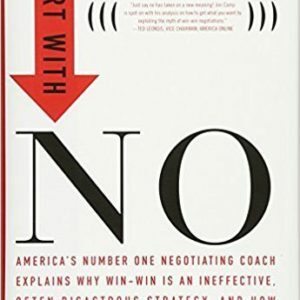 Jim Camp, the world’s #1 negotiating coach, shows how to release the emotional pressure that’s part of any negotiation by using his proven system of safe, decision-based negotiation that enables you to meet all your objectives without needless, wasted compromises or giveaways. We live in a compromise- and assumption-based world, but Jim Camp flips conventional wisdom on its head and in the process makes you a more effective negotiator with clients, customers, spouses, kids, neighbors, and coworkers. Through Camp’s system you’ll find that “no” is just the start of the negotiation, not the end of it. With it, you’ll get everything you want and you’ll build solid relationships with those you negotiate with. Paul Light, renowned expert on public service and nonprofit management, strongly argues for capacity-building measures as a way to sustain and improve the efforts of the nonprofit sector. 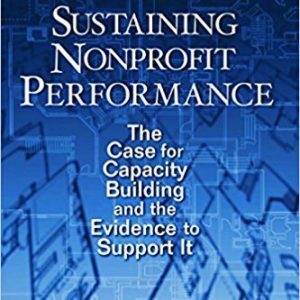 With innovative data and insightful analysis, he demonstrates how nonprofits that invest in technology, training, and strategic planning can successfully advance their goals and restore public faith in their mission and capabilities. He explains the ways in which restoration of that faith is critical to the survival of nonprofits – another important reason for improving and then sustaining performance. Organizations that invest adequately in their infrastructure and long-term planning are the ones that will survive and continue to serve. 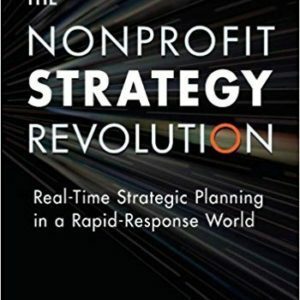 In this groundbreaking book, strategy expert David La Piana introduces “Real-Time Strategic Planning,” a fluid, organic process that engages staff and board in a program of systematic readiness and continuous responsiveness. With it, your nonprofit will be able to identify, understand, and act on challenges and opportunities as they arise. At the heart of this practical book is the Real-Time Strategic Planning Cycle. Based on four years of research and testing with a variety of nonprofits, this proven process guides you through the steps to sound strategy. 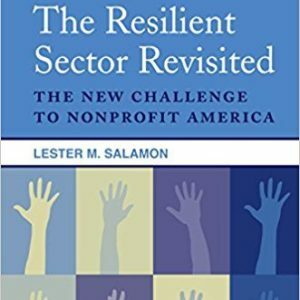 The Resilient Sector Revisited updates the state of health of America’s nonprofit organizations that Lester Salamon recently completed as part of the “state of nonprofit America” project undertook in cooperation with the Aspen Institute. Contrary to popular understanding, Salamon argues, America’s nonprofit organizations have shown remarkable resilience in recent years in the face of a variety of difficult challenges, significantly re-engineering themselves in the process. But this very resilience now poses risks for the sector’s continued ability to perform the tasks that we have long expected of it. 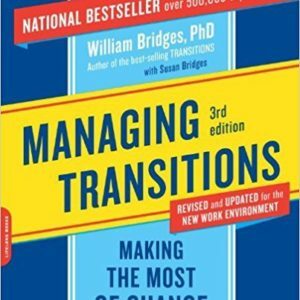 Transitions has helped hundreds of thousands of readers to cope with changes by providing a road map of the transition process. 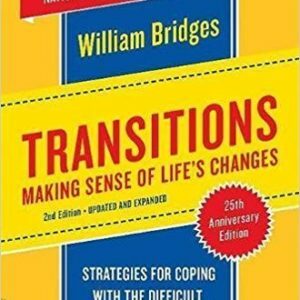 With the understanding born of experience, William Bridges takes us step by step through the stages of transition. 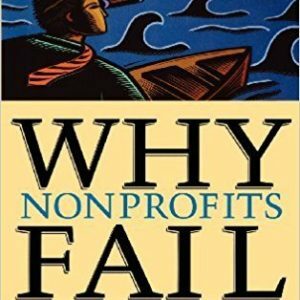 In Why Nonprofits Fail, Stephen Block explains that many well-intentioned leaders hold on to views of their nonprofit organizations that perpetuate problems rather than help fix them. According to Block, the first step to success is to challenge one’s own personal paradigms and ideas and be open to unique and alternative approaches to solving problems. 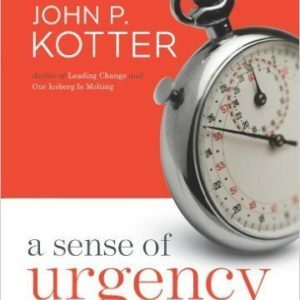 This much-needed book helps nonprofits get back on track and offers advice about the seven most common stumbling blocks, including: founder’s syndrome, fundphobia, financial misfortune, Recruitment disorientation, cultural depression in nonprofit organizations, self-serving political performance and role confusion between the board and executive director.